The stigma of depression means that it can be really tough to talk about. But talking about it gives those scary and relentless thoughts an outlet. Talking about it also opens the door for support from others. It’s important to have the space to digest those thoughts, to work through them and look at them from a different perspective. Writing can really help with that. The act of putting pen to paper can be a valuable outlet for those thoughts. Once the words are out of your head it can be a relief. Even though the page (or screen) doesn’t answer you, you might find that you’ve been able to clear some head-space and identify patterns and triggers. Keeping a journal can be really helpful. Whether it be for two, five or ten minutes. It can also be done anywhere; on the bus or when you are on your lunch break. You can use the notes function on your phone or go or treat yourself to a new snazzy notebook. If you struggle to find the words to write or find that writing down your thoughts is too painful, have a look at your surroundings and start by describing what you see. You could make up a story about someone you can see. Your train of thought will no doubt lead you to start describing how you are feeling. You may want to write as if you are observing yourself. You can write things down that you wouldn’t dare tell anyone else. If you like, you can throw your paper away, or keep it to come back to. If you are talking to a counsellor or your GP on a regular basis, it may be useful to show them and to come back to what you have written on a regular basis. It is a kind of commentary to your journey with depression or anxiety. 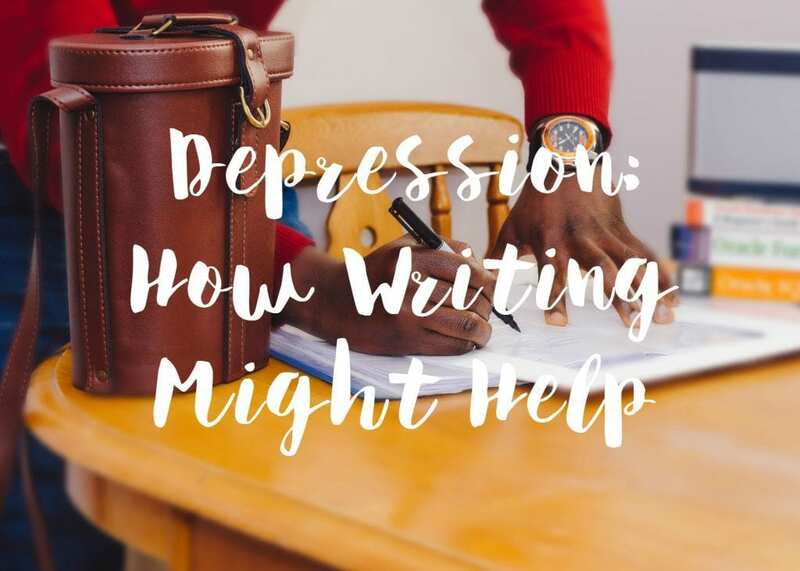 Writing a blog is a great outlet for thoughts and feelings about depression. It’s like an online diary. A place for you to go to that is yours. You can choose for your blog to remain private, to only you, or you can choose for the posts to be published publicly. Many people feel more comfortable doing this under a pseudonym. Often a blog is where people turn to when things get tough. A blog post can be that one thing that changes someone’s perspective. As your writing style and confidence develops you may want to get a few people to read it. It’s relatively simple to set-up a blog too. Morning Pages is a concept thought up by Julia Cameron, a writer based in America. Morning Pages are three pages of longhand, stream of consciousness writing, done first thing in the morning. *There is no wrong way to do Morning Pages*– they are not high art. They are not even “writing.” They are about anything and everything that crosses your mind– and they are for your eyes only. This is a ‘free writing’ exercise. It is such a great way to get thoughts out of your head. Although she suggests writing three pages, don’t pressure yourself to write a certain amount. Just write what you can, for as long as you can. If you have had a dream the night before, start with that. Write about what you are doing today, what you had for tea, your shopping list even! Okay, so you may not consider yourself to be a poet and you may not have ever read any poetry. But, writing poetry is another great way to get a stream of consciousness out onto paper. There are no rules here, it doesn’t have to rhyme! If you are musical then maybe look at it as if it were a song. Give it a go! It is hard staring at a blank page. Give yourself time and just write what comes into your head. There is no right or wrong thing to write. You don’t need to publish it (unless you want to!) and you can do what you like with it. You can show it to everyone or no one. Put it in the bin if you like, say goodbye to the words. Or keep your words so that you can look back at them when you need to.